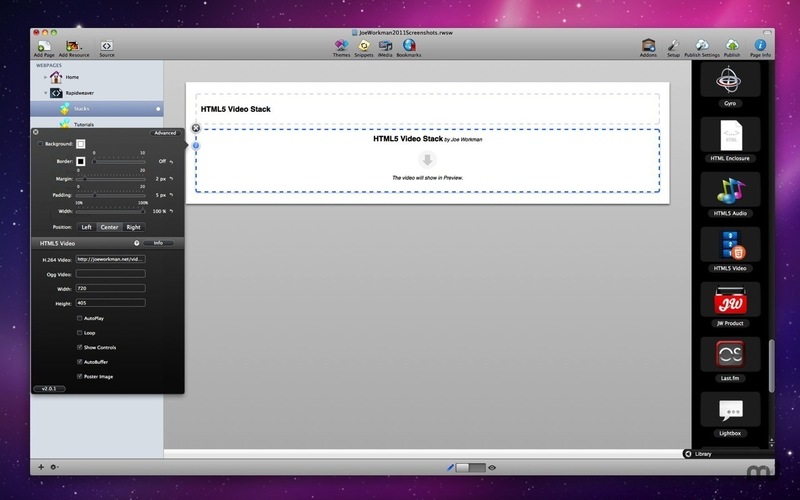 RapidWeaver stack; create HTML5-driven video content. Is there a better alternative to HTML5 Video Stack? Is HTML5 Video Stack really the best app in HTML category? Will HTML5 Video Stack work good on macOS 10.13.4? 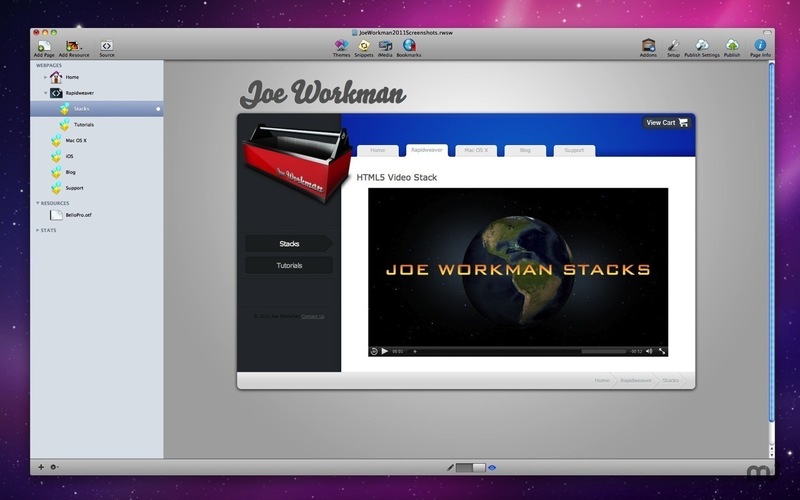 HTML5 Video Stack utilizes the latest HTML5 technologies to play video on your site without Flash! Unfortunately, not all browsers natively support HTML5. Therefore, this stack will fall back to a Flash-based player for browsers that do not support HTML5.